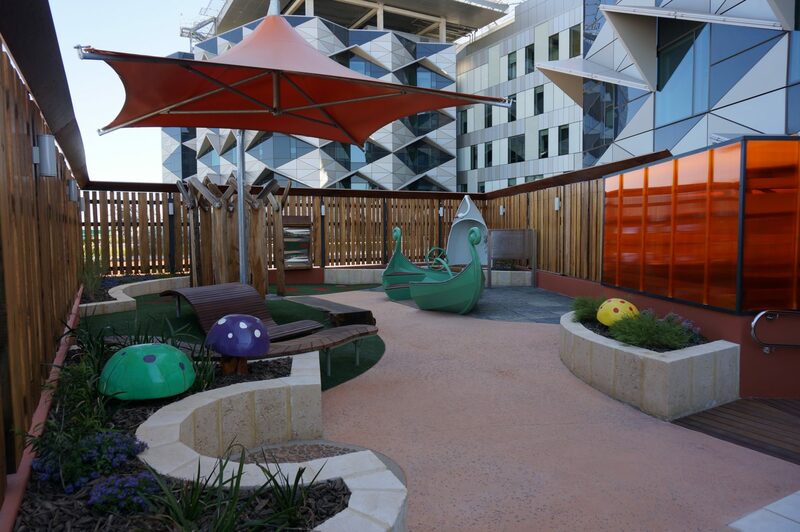 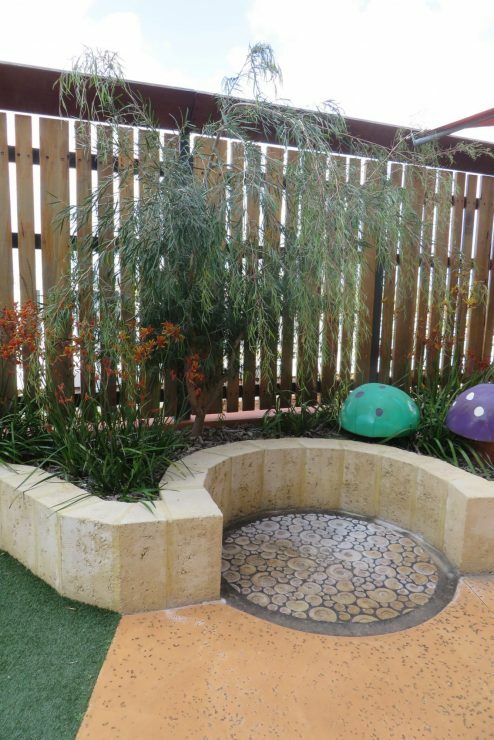 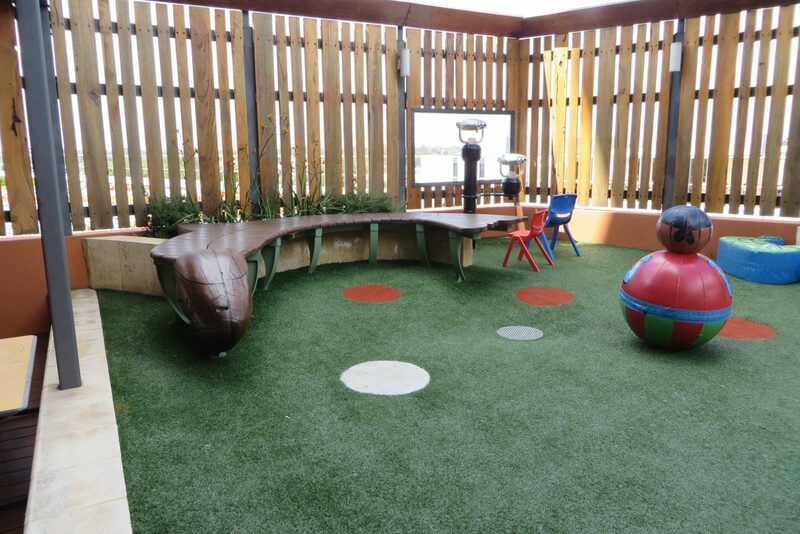 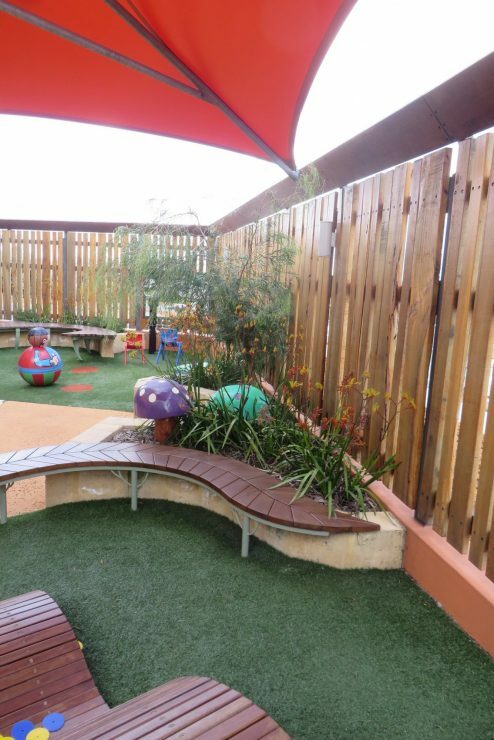 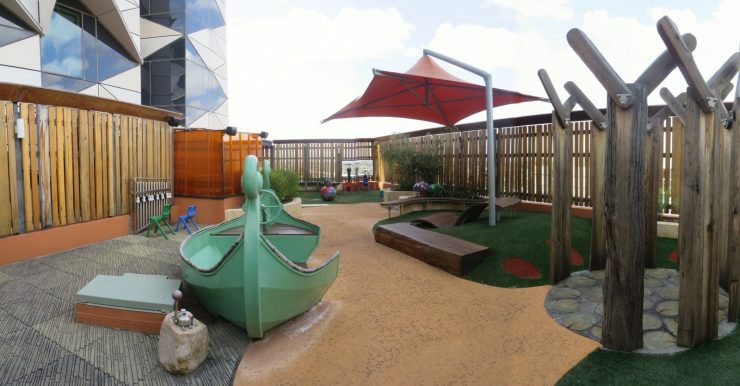 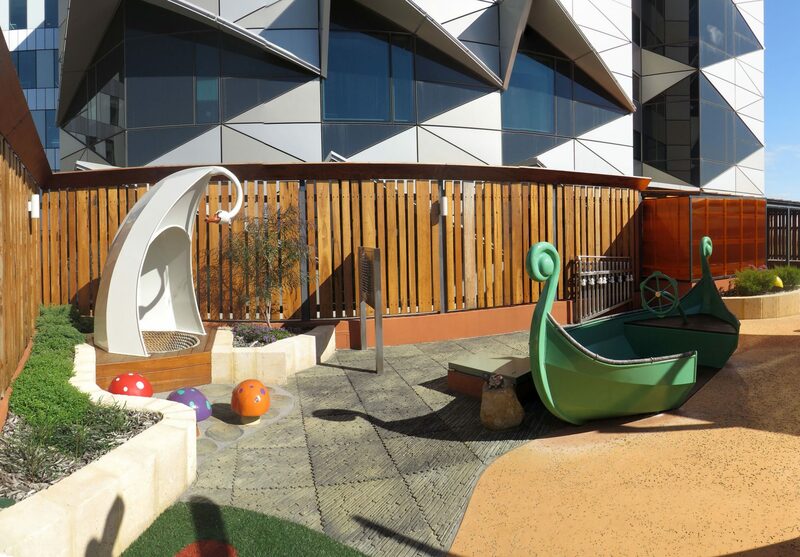 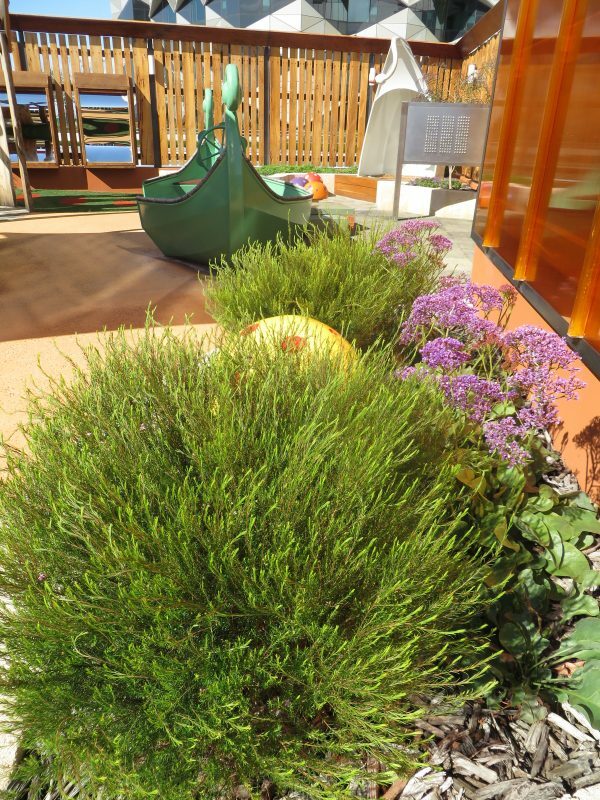 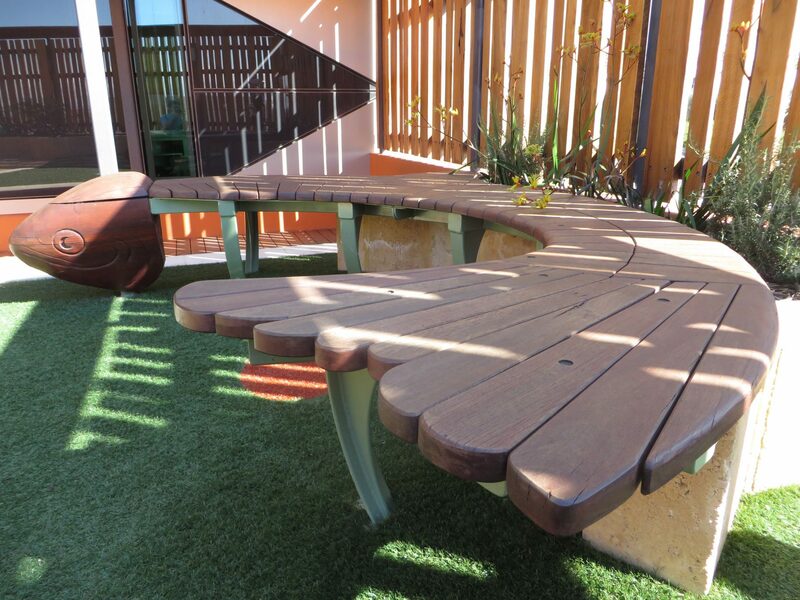 The Paediatric ward of the new Fiona Stanley Hospital has an eclectic small rooftop space on the third floor that aims to provide a sensory outdoor refuge for patients, siblings and families using the new hospital. 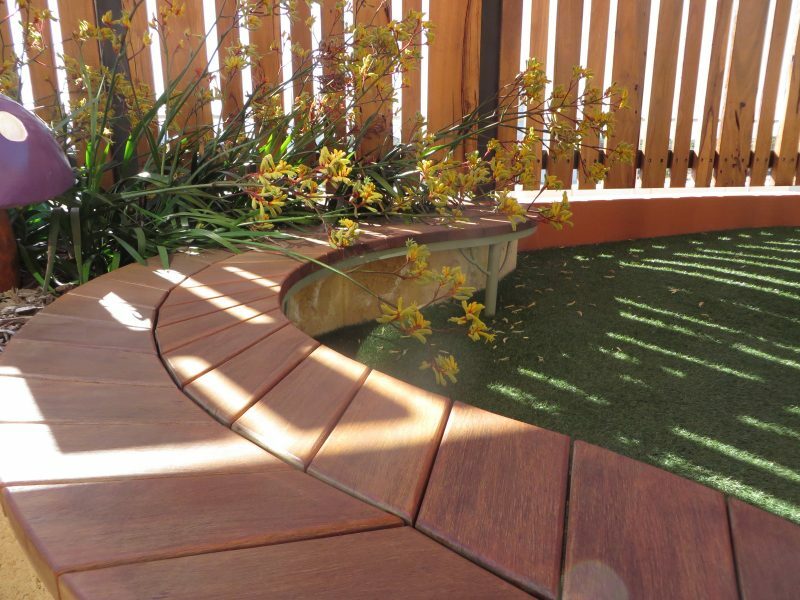 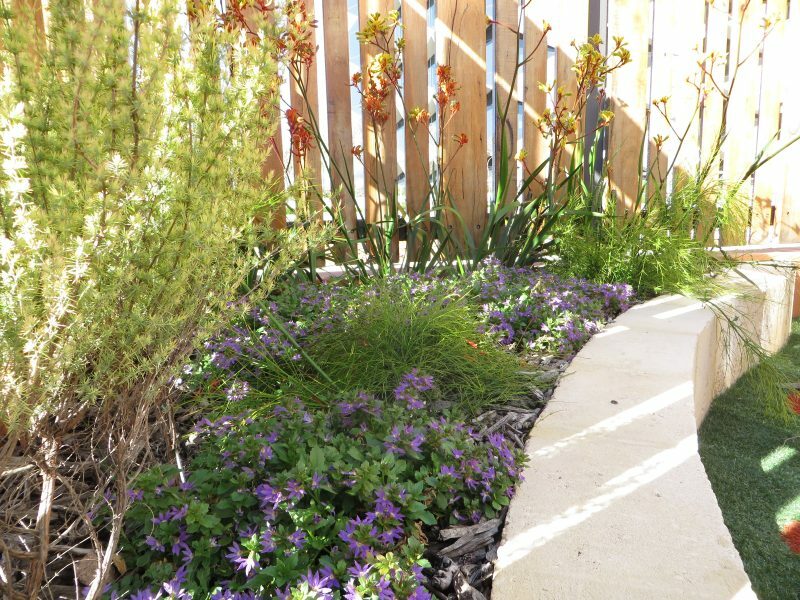 Jeavons Landscape Architects designed and documented the space, working with the Hospital, with head contractor Brookfield Multiplex and landscape contractor Environmental Industries. 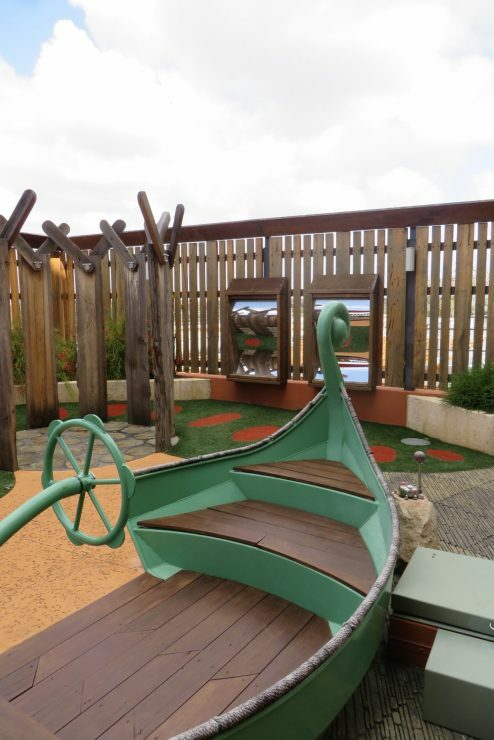 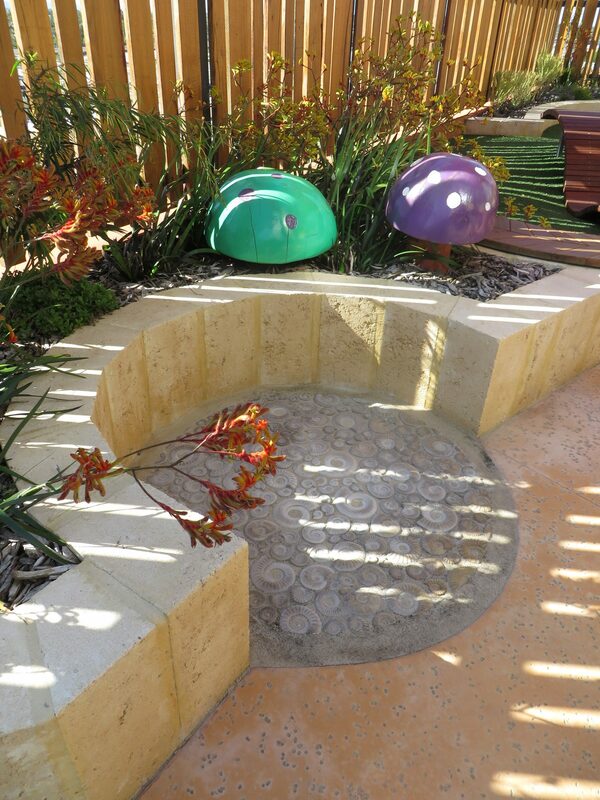 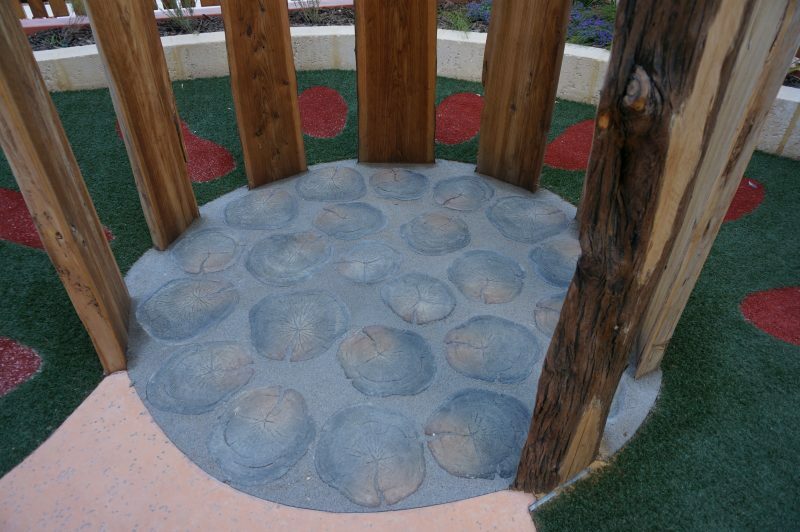 We commissioned numerous custom-designed sculptural and musical elements to provide a fantasy setting that could be experienced in numerous ways by users who may need to spend long periods of time at the hospital, or who only need short one-off visits. 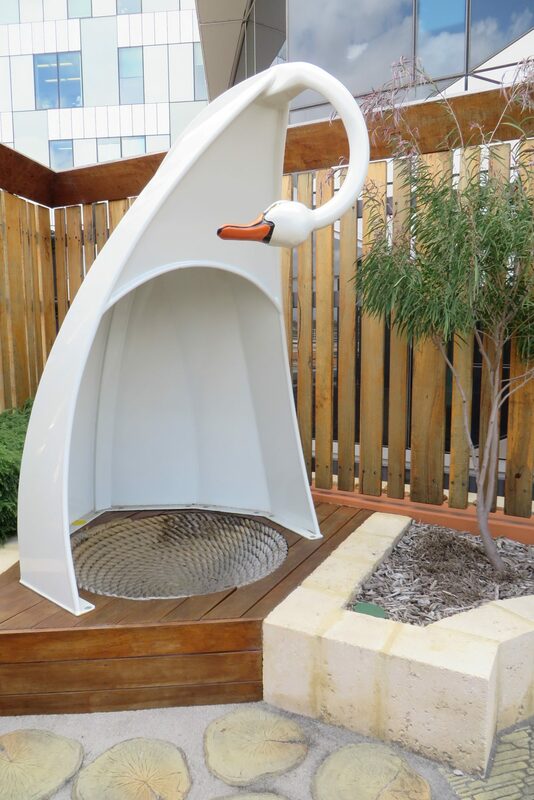 The final design responds to the numerous constraints of building in a very small space on a rooftop, aiming to be as wheelchair friendly as possible, adding tiny sensory details, providing some smaller scale spaces, reflecting local environmental qualities, and encouraging social interaction and support. 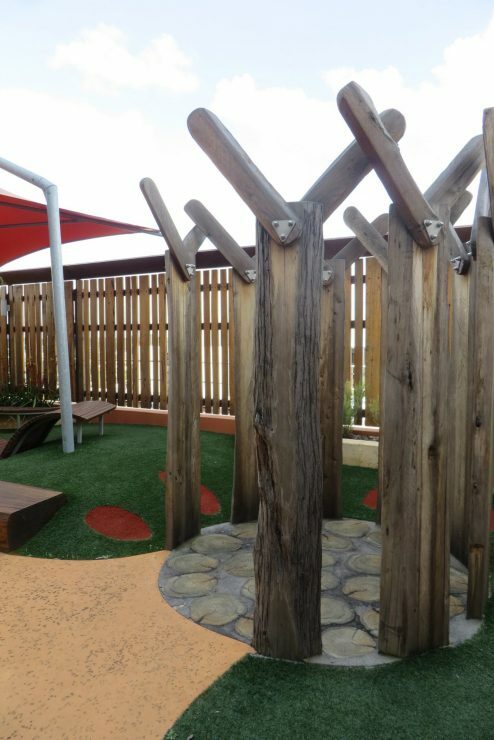 The fence surrounding the space is made from milled local timber salvaged from the site. 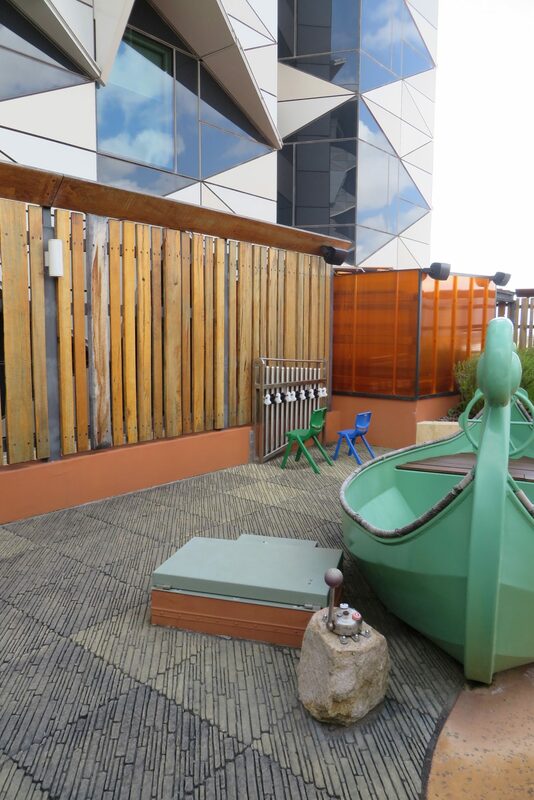 There is a wheelchair accessible, dual binocular set oriented towards the city that takes advantage of this magnificent outlook.